Sold by Camrise and Fulfilled by Amazon. Gift-wrap available. Sold by Camrise and ships from Amazon Fulfillment. Sold by RotorLogic (US Dealer) and ships from Amazon Fulfillment. Ships from and sold by Camrise. 5.0 out of 5 starsAn awesome, cheaper option! Long story short: It's awesome! Don't think twice. Just buy it. 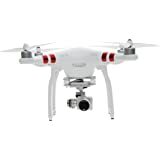 Short story long: I really wanted the Phantom 3 Pro. REALLY BAD. I got it, and it had several technical problems (even though it was new). So, I found out that other people were having the same problem too. I was originally going to exchange it for another one, but once I found out that I wasn't the only person having this problem, I had one last option within my budget: the DJI Spark (which I was very skeptical about buying because of the lack of features compared to the Phantom 3 Pro). 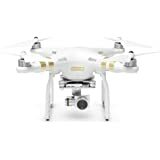 I returned the Phantom and and bought my Alpine White Spark from Best Buy (not Amazon). When I first got it, I had to wait for the controller to arrive since it was on backorder. I flew it with my phone, and I didn't have a very good experience because of the lack of usability and practicality. I finally got the controller and I cannot emphasize enough how much it impacts your flying experience and control. It is an absolute must-have! Anyways, I love the smoothness of the gimbal movements, even though it is only a 2-axis gimbal compared to 3 axis gimbals on other DJI drones. The camera quality is great, Wirecutter in photos. Another thing I am amazed by is the smart features. For example, you can use your hand to control certain features. Be sure to watch a video about these gesture controls if you haven't already. Also, it can track and follow an object. You can select yourself on the app and it will follow you wherever you go. Same concept with a dog or car. 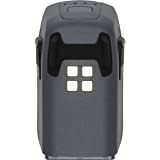 I love the sensor that can tell how far an obstacle is. If you are to close to a wall, it will not let you fly into that wall if you are in the normal flying mode. There is also a sport mode which let's you got really fast. I've gotten 34 mph from it! This mode, however, turns off the smart features and reduces the camera stability. I have flown 400 feet high (the FAA limit), and it does just fine. You will experience lag and low signal in the video transmittion here and there, but it works fine. Just be careful where you fly it, because there can be more interference in some places more than others. Never fly near power lines. The problem is, I have a bunch of trees where I live, so I have to fly pretty high. The drone is built really well. I have crashed it from 10 feet high and landed onto concrete and it has a couple of times scuffs. The controller is built very solidly. It doesn't feel cheaply built by any means. I really find the gimbal dial really useful to help you get those smooth, cinematic shots. 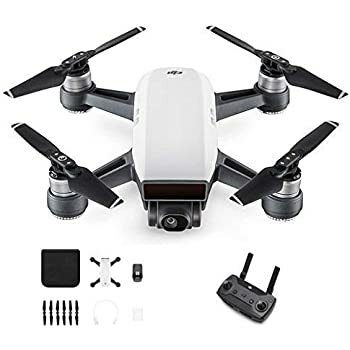 Besides all the perfect things about this drone, there are three problems I would like to address. First of all, the propellers are fragile and break very easily. I crashed it and all of them were dented and two of them broke. Luckily, it does come with one cw and one CCW prop in the box, but you'll definitely need more. I ordered more genuine props and they're pretty expensive for a little piece of plastic. Second of all, I have noticed camera vibrations. 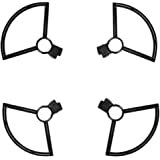 When I'm flying straight down, especially in sport mode, I noticed a lot of vibrations and shakeable, but it might be just my unit. Finally, a minor but important problem is the battery. The battery life is very short if you're trying to get some good shots of the sky and it costs 50 bucks for a new one. Not too unreasonable. 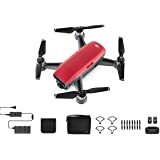 There are a bunch of accessories I would recommend for this drone. If you live in the US, you will need to register it with the FAA by law. It only costs 5 bucks for 3 years. Since this comes with a controller, you'll need a case. 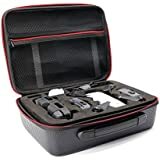 I does come with a case in the box, but that only fits the drone, not the co troller and accessories. I got a good hardshell one from Best buy for 10 dollars which is very protective and hold a great amount of accessories. 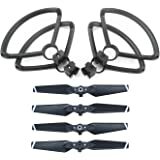 You will definitely need a camera gimbal guard to protect it whenever the drone isn't in use. You will also need to buy extra props at some point. You can find a bunch of good accessories on Amazon for relatively cheap. The most important add-on for this drone would be DJI Care. It is $60 for the first year and $40 for all the years after that. I would get it because if you crash it or it falls into a pool, it is all covered by this warranty. Though flyaways aren't covered, they will cover water damage. If the problem is beyond repairable, they'll send you a new one for $50 the first time and $70 for the second. 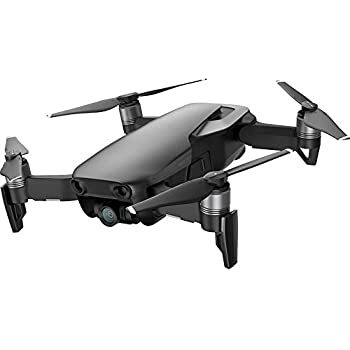 You'll have to buy it within 48 hours of the drone's activation date. The reason is say this this is a must have is because it is better to spend $60 just in case rather than spending $400+ on another new one. 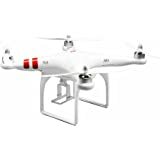 All in all, if you are a project or a beginner, you will have fun with this drone either way. It is so small and is so practical for transport. I wouldn't trade it for anything. 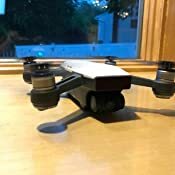 I have also included a lot of pictures of the drone, controller, as well as the actual footage from the drone's camera. I also put together some footage that I got into a 1 minute cinematic. This review was not paid or anything. Just my opinions. Considering the fact that I typed this on my iPhone, it took me a lot of time, so I would really appreciate it if you could click the button below that says "I found this review helpful" or "yes." 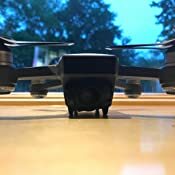 Thanks for reading, and I definitely recommend this drone! 1.0 out of 5 starsif you have android 9 dont bother. save your money for something else. if you have android 9, first off, the app they tell you to get? yeah "DJI GO 4 since p4" its so buggy its impossible to do anything in that app. 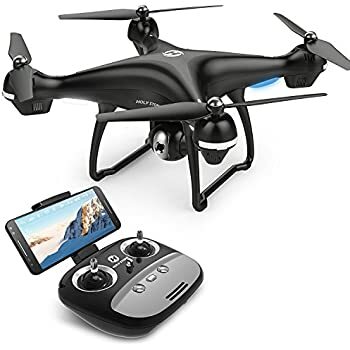 second the drone cant connect to any thing or scan anything if the app is bugged so its pretty much just a paper weight with props. don't bother messaging their support staff either because they have no clue what the issue is or how to resolve it. not only that from what i understand the APP has been bugged for a long time and doesnt seem to be getting fixed any time soon. as for the next best thing, litchi, which is a 25$ app from the app store, its now incompatible if you have android 9 because DJI refuses to update some coding on their end. Great item. I did a month of research before buying and I can say it was a great purchase. 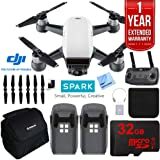 4.0 out of 5 starsGreat drone for price. 4.0 out of 5 starsMust have a fairly new smart phone to get it ready to fly. 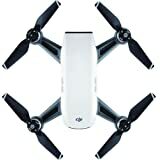 You cannot fly the Spark drone until it is initialized using the "DJI Go 4" app which is available only for Android and Apple iOS devices. Initializing also requires an Internet connection to DJI.com. That app can be put on an iPhone only if the iPhone is running an iOS version higher than 10.0. There are similar restrictions for Android smart phones. The older "DJI Go" app doesn't work with the Spark drone either. 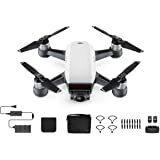 Getting the Spark, it's remote control, and "DJI Go 4" all booted up and the 3 gadgets linked to each other requires many steps and for a newbie many tries. It's definitely not ever a flip-three-switches-On-and-go drone. After the first time the startup is a few steps shorter but still complicated to get ready to fly with the remote controller and/or a smart phone. And occasionally mandatory firmware updates will put you into a similar complex situation. Until the Go 4 app is greatly improved this will not be a drone for the faint of heart. 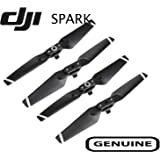 Watch the 2+ Spark videos on Utube written by Dustin Dunnill to get an in depth view of what to expect. If you buy a Spark buy an OTG (On The Go) cable. 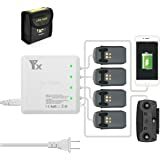 The cable allows you to connect the micro-USB on the controller to your iPhone which simplifies the firmware updates by allowing the phone's WiFi to only be used for an Internet connection. Also an OTG cable yields a better video feed from the remote controller to the phone than WiFi when you fly the drone. I highly recommend watching a few YouTube tutorials before taking this out of the box. I did, and it helped my setup process go smoothly. The drone itself is a wonderful little piece of technology, easy to fly and takes good pictures. 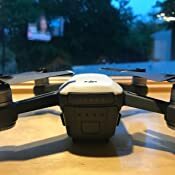 This is my “starter” drone so I could learn before dropping big bucks on the mavic pro 2. The drone is ultra stable, even in a stiff wind. I can see how flying in sport mode could be risky, I only use that mode when needing to fly fast without any obstacles nearby. 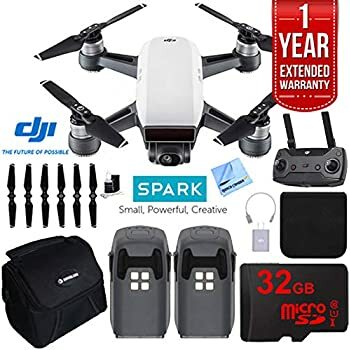 I definitely recommend it to anyone wanting a nice drone at a great price.